Thank you for your interest in Essendon North Primary School. 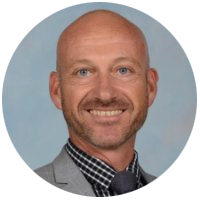 Essendon North Primary School pursues excellence in developing global learners and leaders, who strive to exceed expectations. We maximize the potential of all: empowering independence, excellence, innovation and engagement with the world. Our school has an International Accreditation with the Council of International Schools (CIS) and is authorised as an International Baccalaureate (IB) World School, offering the Primary Years Programme (IB PYP). These are schools that share a common philosophy - a commitment to high quality, challenging, international education that Essendon North Primary School believes is important for our students. You are warmly invited to tour our school facilities and visit our school on our Open Days. Please contact our school's office to arrange a tour with me. I look forward to our partnership, and am truly excited with the directions, possibilities and opportunities for education at Essendon North Primary School.